These Chocolate Mint Chip Cookies are decadent and fudgy, with a cool peppermint twist. They are perfect for your holiday cookie exchange! My Christmas cards have been sealed and sent, my tree is trimmed, the house is decorated. Next on the holiday agenda? Baking cookies! Thanks in part to Pinterest, I have about 1,001 cookie recipes I want to try out this year. In the interest of not becoming quite as… jolly… as Santa, I decided to stick to just 12 recipes. 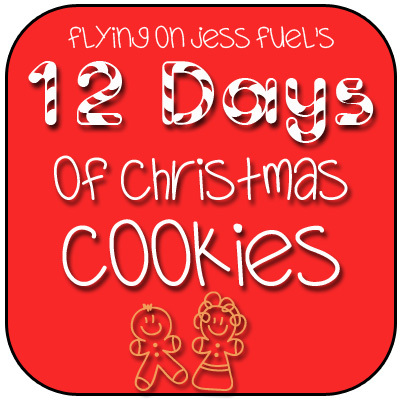 So between now and December 25th, I’ll be bringing you 12 Days of Christmas Cookies!! For my first recipe, I made Chocolate Mint Chip Cookies. Chocolate and mint is one of my favorite combos, especially around the holidays! I love that you can find fun things like mint chocolate chips around this time of year. This recipe was a combination a couple I’ve made before with a few of my own twists. They came out great! These Mint Chip Cookies are decadent and fudgy, with a cool peppermint twist. They are perfect for your holiday cookie exchange! In a bowl, combine flour, salt and baking soda. Using an electric mixer, beat together butter and sugars until fluffy. Add eggs, peppermint extract and cocoa powder and continue beating. Slowly add the flour mixture and beat until well combined. Drop heaping teaspoons of dough one a parchment or silpat lined cookie sheet. Bake 10 minutes until set. Transfer to a cooling rack to cool. So what kind of cookies are you baking for the holidays this year? Note: Photos updated 12-14-17. Original photo below. yummm. of course you would pick mint chocolate chip for the first one. save gingerbread men for when you’re home so we can bake them together! Congrats on your first party! And on taking on the task of 12 different cookies before Christmas. You’re a baking machine woman!